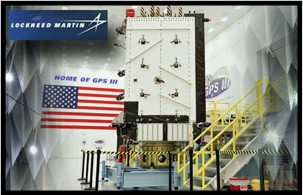 The First of the GPS III Satellites from Lockheed Martin Are Accepted by U.S.A.F. The U.S. Air Force's "AFL" declaration is the final acceptance of Lockheed Martin's first GPS III Space Vehicle (GPS III SV01) prior to its expected 2018 launch. GPS III SV01 will bring new capabilities to U.S. and allied military forces, and a new civil signal that will improve future connectivity worldwide for commercial and civilian users. GPS III SV01 is the first space vehicle of an entirely new satellite design. GPS III is a next generation technology and capability leap over any of the 31 GPS Block II satellites that currently populate today's operational GPS constellation. Better Accuracy: For military forces, precision is essential. GPS III signals will provide them three times more accuracy than any current GPS satellites. How accurate is that? We cannot get specific, but stretch your arms out, we are within that range now. Improved Anti-Jam: It is no secret that future adversaries will try to nullify tools like GPS that give our military an edge in conflicts. GPS III's powerful new signals have eight times improved anti-jamming capability, and the satellites' nearly 70 percent digital payload will provide the Air Force with greater operational flexibility. Stronger Design: Space is a tough neighborhood and GPS III is built tough. GPS III comes with a more resilient design and a design life which can expand its operational life to 15 years. That's 25 percent longer than the newest GPS satellites on-orbit today. New Civil Signal: GPS III will be the first GPS satellite broadcasting L1C, a new, common signal being adopted by other international Global Navigation Satellite Systems (GNSS), like Europe's Galileo. In the future, users of civilian GPS receivers will be able to connect to L1C from multiple GNSS constellations, allowing for greater connectivity. One of the keys to Lockheed Martin's GPS III is it was designed for today's mission with an eye on tomorrow's needs. Future satellites — already with a robust, production-ready design -- also would benefit from the inherent risk-reductions already proven out in GPS III, like compatibility with OCX and the existing GPS constellation. Significant work has already been completed on future requirements like an accuracy-improving Laser Retro-reflector Array and a Search and Rescue payload. For Lockheed Martin, the completion of GPS III SV01 is a major milestone on a challenging development program to design and build the most powerful GPS satellites ever envisioned. With all major development risks behind them, the company is now in full production on ten GPS III satellites at its GPS III Processing Facility near Denver. Mark Stewart, the VP of Lockheed Martin's Navigation Systems mission area, stated that as the company designed GPS III, the firm knew that mission needs would change in the future and that new technology will become available. Lockheed Martin wanted the satellite to be flexible to adapt to those changes. To do that, the company intentionally developed GPS III with a modular design. This allows for the easy insertion of new technology into the production line. Lockheed Martin's GPS III team owes much of this success to the Air Force's Back to Basics program and all are looking forward to launching the first GPS III satellite in 2018.